The Boston Celtics appeared to have won the NBA trade deadline after the New Orleans Pelicans opted against moving Anthony Davis this past Thursday. But that win was followed by two losses. The first coming on a buzzer beater against the Los Angeles Lakers, only to follow up with a defeat to the Clippers by blowing a 28-point lead. 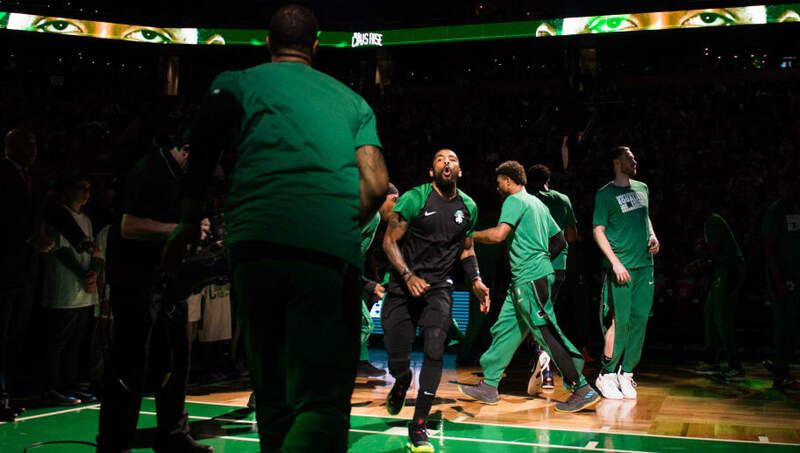 On Saturday night, things only spiraled more out of control once ​Marcus Morris called out his teammates in front of the media. Well, it appears there's more to it than we initially thought. According to reports, the disarray in the Celtics locker room is nothing new because the players "aren't that close." Not only that, but the team has been "trying to coexist politely," which hasn't yielded the proper results. The main topic out of Boston has been the team's chemistry, dating back to when Kyrie Irving was criticized for his lack of leadership. Now, Morris has entered the forefront, talking about how players on the bench are kind of just there, while teams like the Brooklyn Nets and Golden State Warriors are having fun. Morris only adds to this by saying there hasn't been anything remotely fun in Boston for an extended period of time. As everyone knows in sports, you begin to learn more about a team and its players when they're going through a tumultuous stretch. The two brutal losses showed the league that, but you have to believe that a winning streak will cure what ails the Celtics.